Oakland, Calif.—Hospital and nursing home workers protested today outside the office of their own local union, SEIU United Healthcare Workers-West (SEIU UHW-W), which was recently seized in a hostile takeover by national officials of the Service Employees International Union (SEIU). 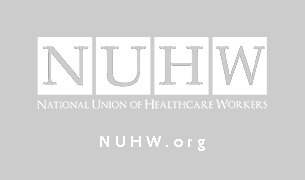 Since the takeover, tens of thousands of members have petitioned to form an independent union—the National Union of Healthcare Workers (NUHW)—and SEIU UHW-W’s new trustees are working with employers to intimidate workers and stop them from having a free choice. Several dozen homecare workers, some with their patients, gathered February 10 on the west steps of the state Capitol in Sacramento to protest Governor Schwarzenegger’s proposal to cut state spending on the In-Home Supportive Services program for disabled and elderly people.